VOICE ... have you defined it? Mastered it? Ignored it? Set it free? 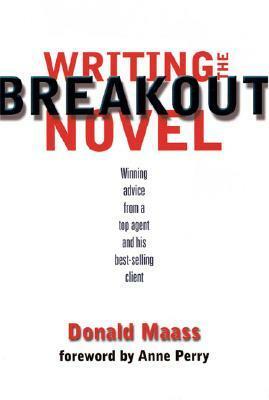 Donald Maass wrote, "By voice, I think they mean not only a unique way of putting words together, but a unique sensibility, a distinctive way of looking at the world, an outlook that enriches an author's oeuvre" (WRITING THE BREAKOUT NOVEL, p.193). Hobbes says "I notice your oeuvre is monochromatic," in comment to Calvin's snowman. Click here to see some awesome Calvin & Hobbes cartoons. Again, Maass wrote, "Voice is a natural attribute. You no more control it than you can control the color of your eyes--nor would you want to. ... To set your voice free, set your words free. Set your characters free. Most important, set your heart free. It is from the unknowable shadows of your subconscious that your stories will find their drive and from which they will draw their meaning. No one can loan you that or teach you that. Your voice is your self in the story" (WRITING THE BREAKOUT NOVEL, p.195). Is your oeuvre monochromatic? Is your voice distinctive? I think this is one of the best definitions of voice I've ever heard. I'd never thought of it beyond how we phrase things, but it really is the way we and our characters look at the world. Voice is the one aspect that has me stumped! However, of all the definitions/explanations of Voice that I've stumbled upon, this one gives me a fairly good idea of what it really is. Thanks for the link. I shall ponder this. And also pass it on to a friend interested in this subject. It is the way you see the world, situations, and adventures. Your perspective, if you will. It adds texture to those things. It's distinct because it's you. Honestly, it's not something I think about or worry about. Mine just is. I hope it is, especially since I made sure that every character has his or her own voice when the story is from his/her view point. Every time I read something about voice, I take away something different. I think it has to do with the passage of time and the continual practice of my craft. What resonates with me now wasn't my takeaway a few months ago after reading another post on voice. It's something that keeps evolving with the writer and as Maas says, finding that part of YOU that makes the story come to life. I read what I wrote and I don't think so, but I have had people tell me (who know me personally) they can hear me when they're reading what I've written. Suspect I need to set more things free as I'm not entirely sure I've found my defining voice yet. I think you have to do quite a lot of writing before your 'voice' comes through. At first it seems a conglomeration of the 'how to' books and the novels you've read. It's exciting when you find your unique voice then you can hope it's in stereo not mono, lol! I hope my voice is distinctive. The Calvin and Hobbes example made me laugh. That cartoon really explains everything about human nature, politics, and now.... substantial bodies of work. When I had my first few stories published I had a little crisis, feeling that the 'voice' in them wasn't mine but in fact the voice the stories required to be published in that market. I even considered stopping writing short stories incase I lost my 'voice' altogether! Having persevered, edited and read aloud, I can hear my 'voice' returning in my most recent stories, but I definitely think that the 'voice' I use for shorts and the 'voice' I will use when I write a novel are not the same. I think the novel 'voice' will be the true one. Interesting post - thank you! Your voice is your self in the story. I beleive it is the self that you are portraying, ie. the MC's self. Great post. I have that book too. I DO have a monochromatic oeuvre. Fortunately, it's pinkish. That's a really good way to explain it. They also say you should keep your self out of your story, but I'm not sure that's possible. Everything you write is your interpretation of the world. I've heard the suggesting that journaling helps develop one's voice. For me, I think I've got a fairly solid voice. It's probably due to the fact that I've spent the past 4 years writing almost exclusively in 1st POV which is naturally rich in voice.